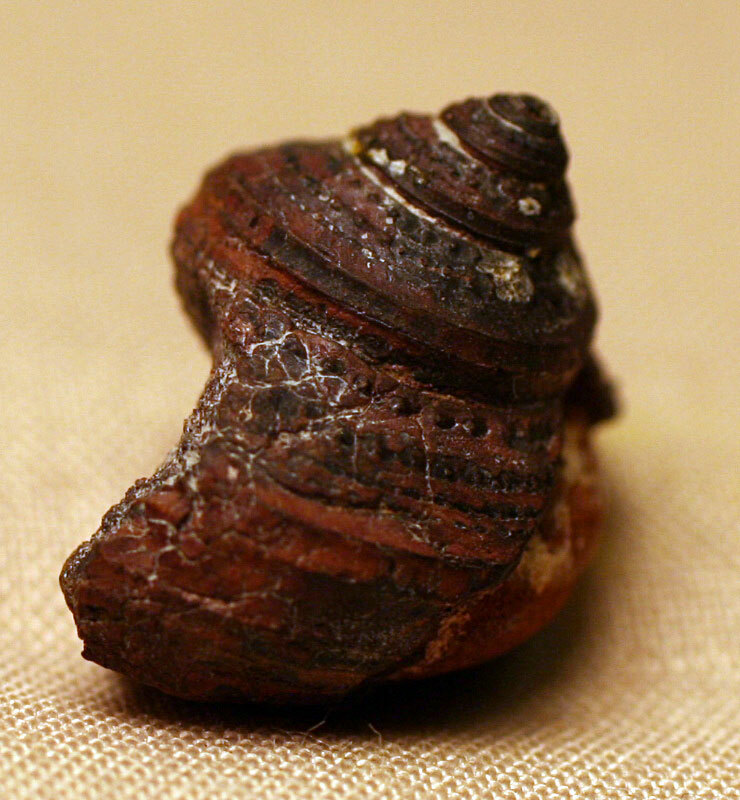 A Mourlonia gastropod fossil found in the Borden Formation of Morehead, Kentucky. 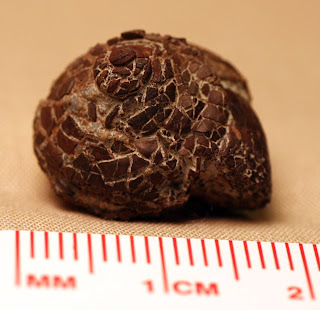 Five fossils are shown in this post and all are pyritized. 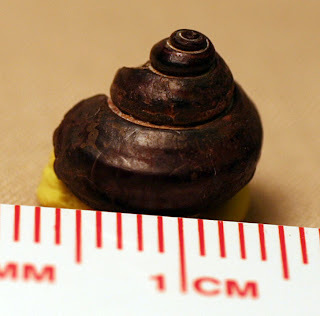 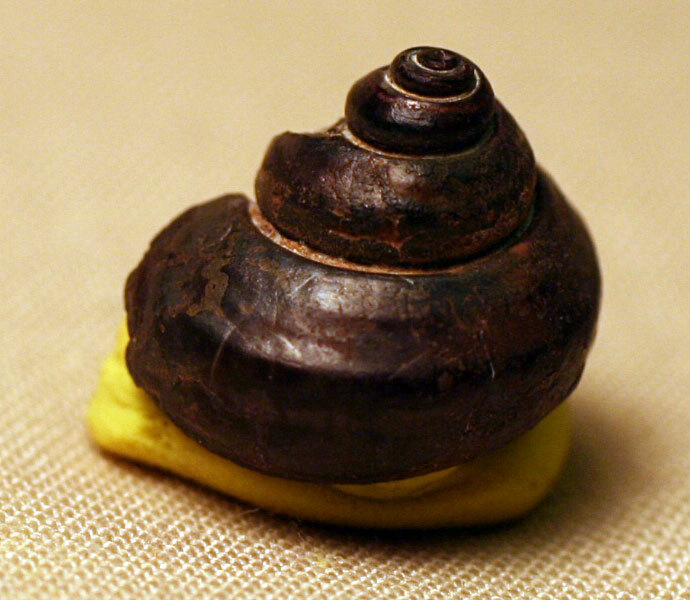 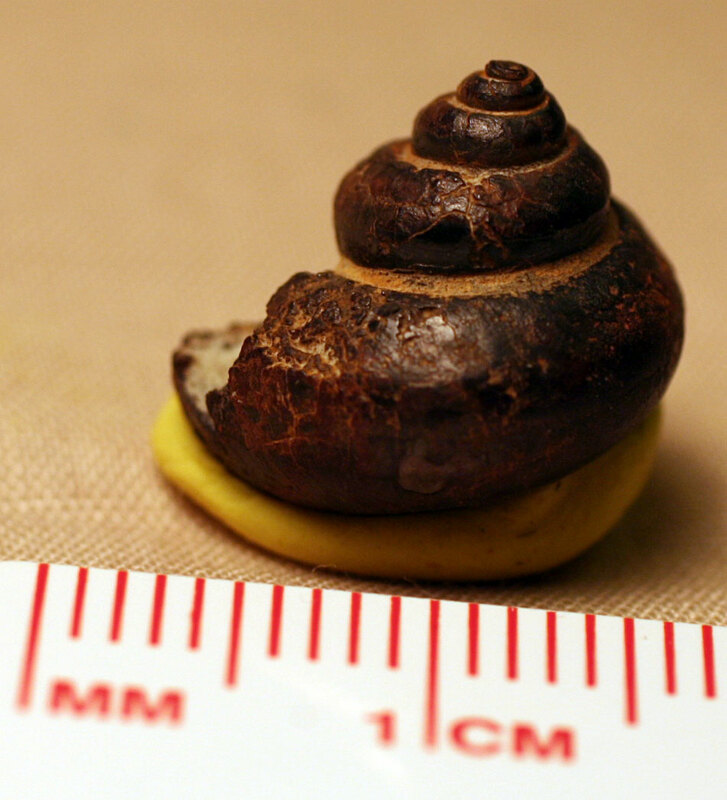 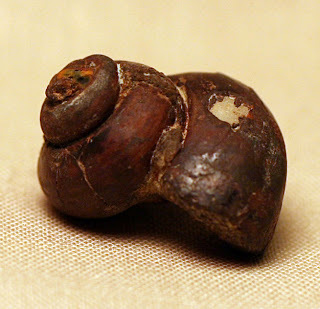 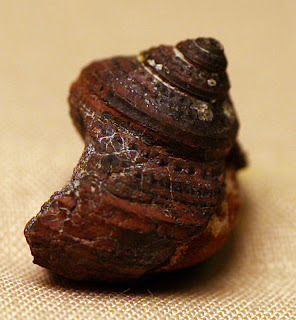 This snail slinked around the Earth during the Mississippian Period. This entry at the KYANA Geological Society web site was used to identify the fossils. 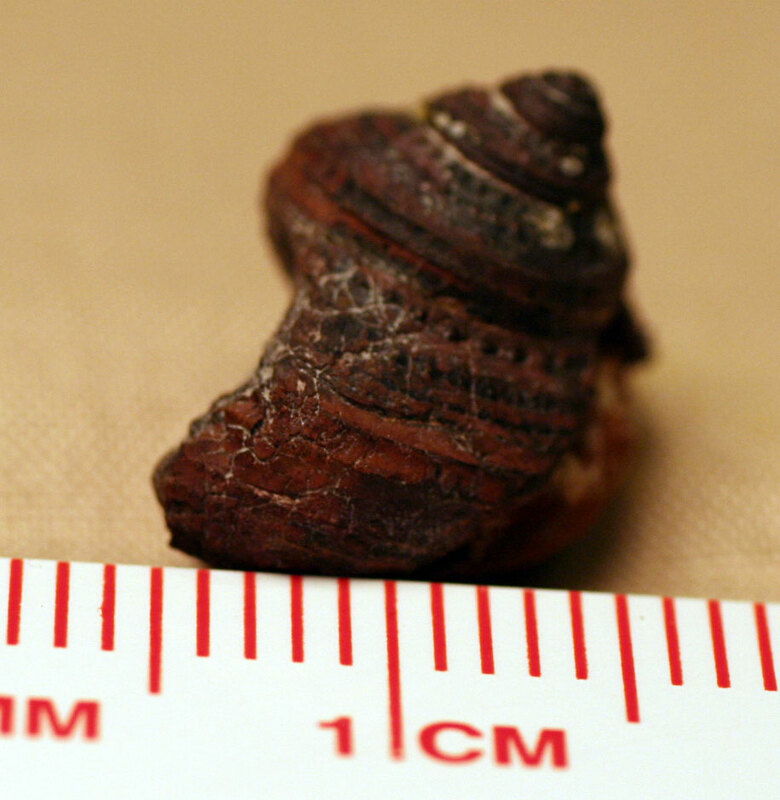 Next two images show specimen two. It is quite broken up. 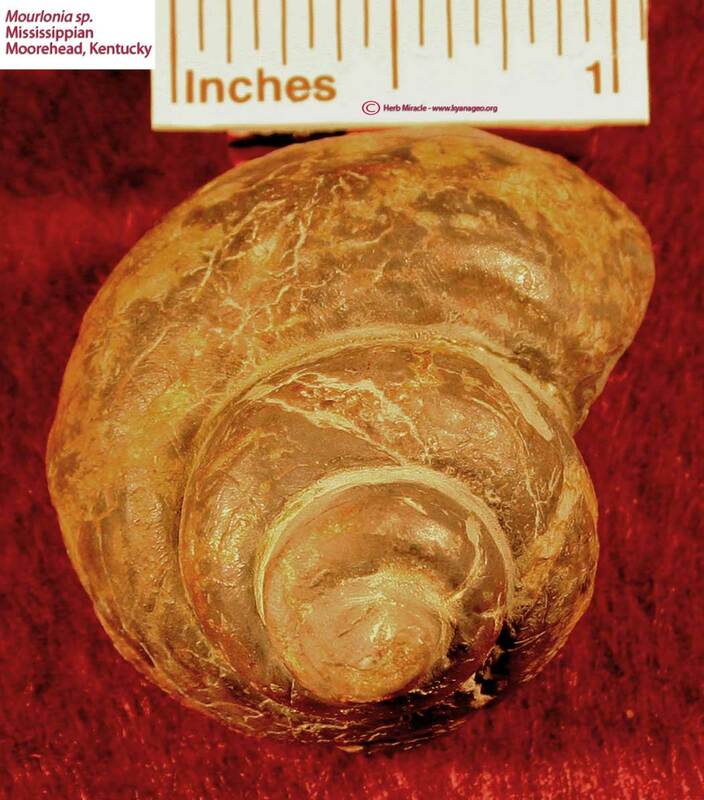 One image of specimen 3 shown next. Specimen 4 is the only fossil in the group showing ornamentation (next two images). 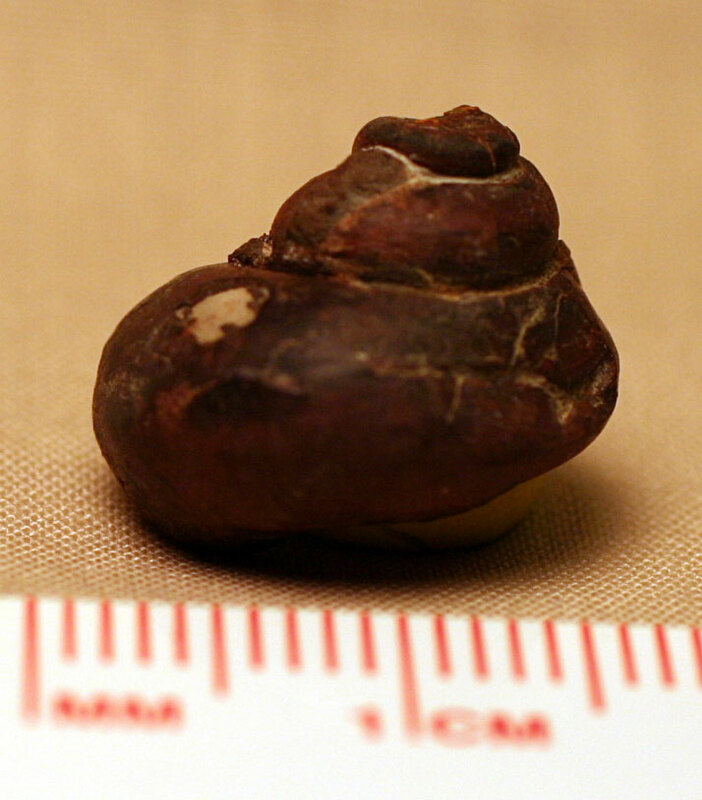 These last two images show specimen number 5. 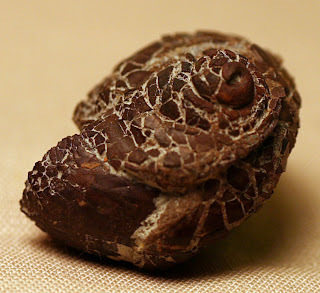 Thanks to Herb for the fossils!